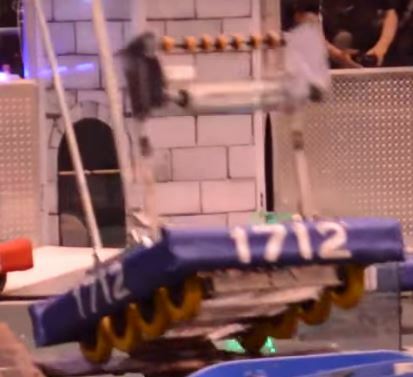 2018 – Everest: Named for being tall (like the mountain), Everest won the Innovation in Control Award twice for his amazing auto and captained the 6th alliance in his division at Worlds. 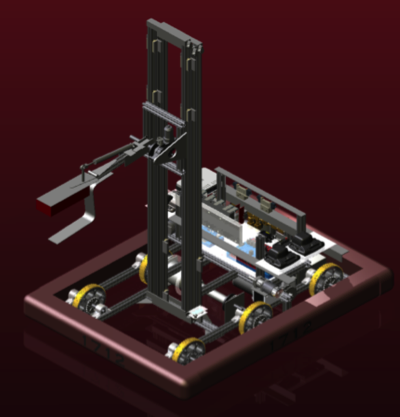 With his reliable intake and elevator, Everest is quite possibly our most successful robot yet.  2017 – Thomas Newcomen: Named for the English engineer who created the first practical steam engine in the year 1712, Thomas Newcomen was Dawgma’s entry to the 2017 game, FIRST STEAMworks. 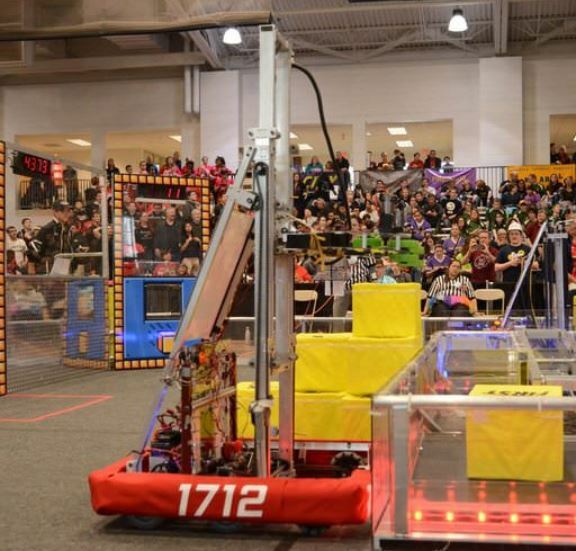 With his reliable climb and above-average gear scoring capabilities, Thomas captained the #7 alliance at the Westtown district event, was selected for the #5 alliance at the Seneca district event, and qualified for MAR Champs. 2016 – Sleipnir: Named for the eight-legged horse of Norse mythology who was fabled to be able to traverse land, sea, and air, our robot in 2016 had an 8 wheel drivetrain and focused on crossing all sorts of obstacles. Sleipnir’s defense crossing, low goal prowess, and ability to play defense made Dawgma history, captaining the #7 alliance at MAR Champs to the semifinals, qualifying for the World Championship by merit, and topped it off by captaining the #6 alliance on Hopper. 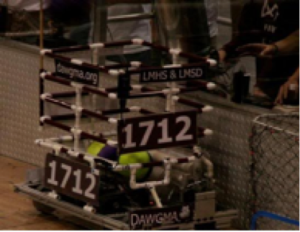 2015 – Kaylee: When Kaylee captained the 4th alliance to the finals at the Springside Chestnut Hill Academy District Event, she made Dawgma history, as the first Dawgma robot to ever reach the finals at an event. Kaylee focused on the “co-opertition” aspect of Recycle Rush. 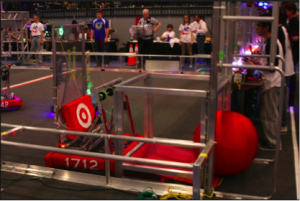 At Springside, she ranked 5th and captained the winning alliance, and went on to be a quarterfinalist at the Upper Darby District Event and qualify for MAR Championships. 2014 – Peter The Great Egg: Named using a combination of two contending names, Peter the Great after the emperor who moved the capital of Russia to St. Petersburg in 1712, and Egg after the robot’s method of containing the ball. 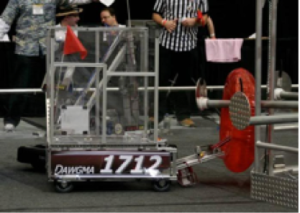 2013 – Oddjob: Named after the iconic James Bond character, Oddjob threw Frisbees much like the character in James Bond threw his bowler hat. 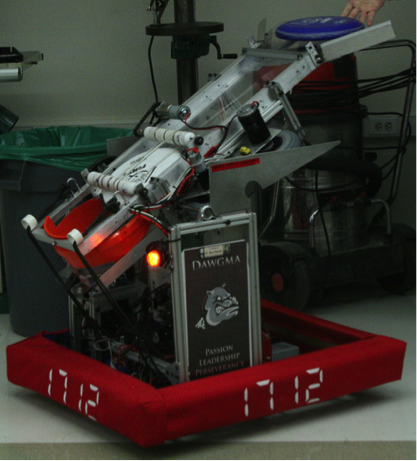 2012 – Darryl: Named after a student on our basketball team, Darryl shot basketballs with impressive accuracy. 2011 – Geoffrey : Originally pronounced “Jeffrey”, after the Toys R Us advertisement character Geoffrey the Giraffe (or Dr. G Raffe), Geoffrey was our most ambitious robot. 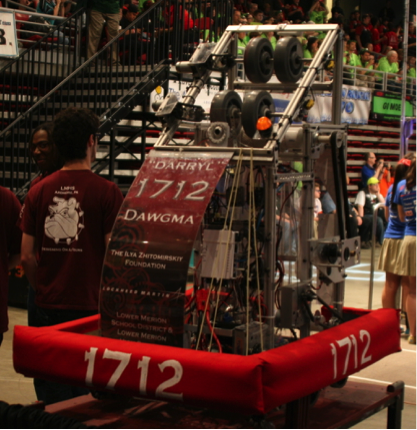 2010 – Darwin: Named for the “Evolutionary” theme of chairman’s entry. Because of the bumps added to the field that year, he was designed to traverse all areas of the field with ease. 2009 – Alice: Named for Dr. Randy Pausch’s culture-changing software. His book, The Last Lecture, has had a strong influence on us. 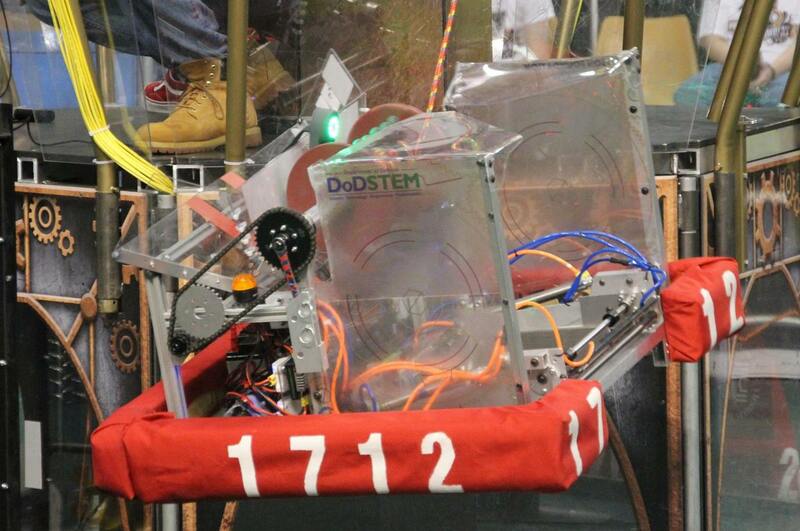 Was first in the world to score autonomous, the only auto score in our region. 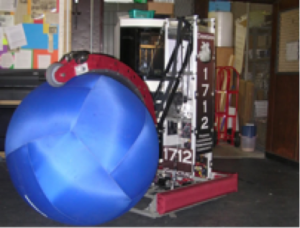 2008 – Galactus: Named for a Marvel Comic book character, who was often called the “Devourer Of Worlds.” The robot grabbed and lifted a huge, “world-like” 40-inch ball. 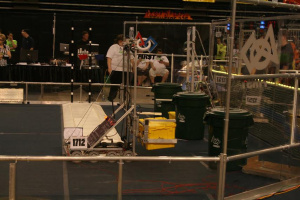 2007 – Deuce: Our second robot, named for its performance of two tasks, lifting game pieces quickly to deposit on the rung and deploying ramps for end game. 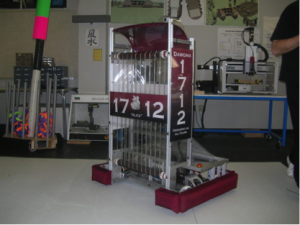 2006 – Dawgma I: The team’s 1st ever competition robot – named accordingly. 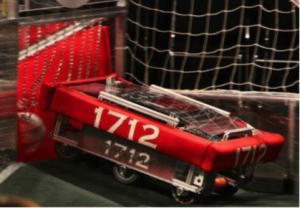 Dawgma 1 qualified for world championships because of its strong autonomous mode and fast low goal dumper.